The black rain fell in a dense outpour. As Yi Yun and company proceeded through the rain, they had conjured a protective barrier to isolate the raindrops from themselves. The bronze giant had completely vanished. Neither could they hear the tumultuous sounds of the metal chains rubbing against each other. 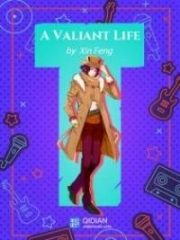 But in the dead silence of the misty rain, Yi Yun felt that there was something constantly staring at them. He felt immense foreboding. But Yi Yun did not see anything the few times he turned his head. “Yi Yun, something doesn’t feel right,” said Yue Yingsha suddenly. She sensed chilly waves a.s.saulting them and despite walking for so long, their surroundings did not seem to change at all. It was as if they were walking in circles. Granny Yin had been leading the way by walking in front. When Yue Yingsha called out to her, Granny Yin did not immediately respond. Instead, she was continuing straight ahead. Yue Yingsha suddenly felt something amiss as she flashed in front of Granny Yin. What she saw drained the color from her face. At that moment, Granny Yin’s face was shrouded in an intense layer of cadaveric air. Her entire being resembled one that had crawled out of a tomb, as though she was almost done rotting! Granny Yin’s eyes were deeply recessed and her wrinkly eyelids were tightly closed. In between the slits of her eyes flowed a trickle of black blood that was nearing complete decay. She could not see Yue Yingsha at all. However, Granny Yin suddenly raised her stiff right hand. In the palm of her right hand, as well as her neck, there were two additional strange eyes that did not belong to her. The eyes were green in color and as they blinked, they were staring intently at Yue Yingsha, as if they were watching a delicious prey! Such a strange scene made Yue Yingsha scream out in horror. Granny Yin was someone she was the closest to. Now, she had suddenly turned alien. Such horror had ten times more impact than encountering any ordinary danger! 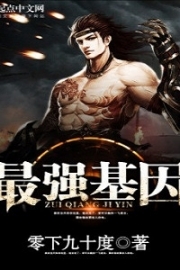 Yi Yun immediately pulled out his pure Yang broken sword and stood by Yue Yingsha’s side. The two eyes that appeared on Granny Yin’s body made his scalp tingle. But at that moment, Yi Yun was at a loss. The eyes were apparently attempting to possess or devour Granny Yin’s body. What should he do? Should he strike? Yi Yun was unsure if a strike from him could kill the eyes on Granny Yin’s body but there was probably no question that Granny Yin was doomed! “Granny is still alive. I can still sense her aura, but it’s very weak,” said Yue Yingsha with a trembling voice. She had her suspicions that once the pair of eyes completed its devourment, it would probably become harder to deal with. However, there was no way she could steel her heart to kill Granny Yin at that moment in time. Yi Yun could only lay out the facts although he abhorred the thought of attacking Granny Yin. The moment she died, their collective strength would be greatly reduced as well. 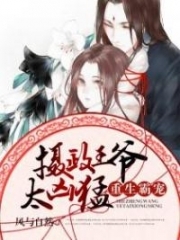 Just as Yue Yingsha was hesitating, the sudden scene that followed made Yue Yingsha feel like she had fallen into a frozen cavern. She could see pairs of green eyes lighting up in the distant rain. These eyes were even bigger than the ones she had previously seen. There were more than a hundred pairs of eyes as they lined themselves up into rows! The biggest pair was situated at the highest point. It was as large as a lantern and its eyes exuded a cold gaze as it overlooked Yi Yun and Yue Yingsha. Yi Yun’s heartbeat stagnated. With the sudden appearance of more than a hundred pairs of terrifying eyes, with each pair able to devour an expert like Granny Yin, did he and Yue Yingsha have any chance of survival? The G.o.d Advent Tower could no longer be used again, and even with the remaining two sword Qi that Felicitous Rain Lord left him, he felt that he could only at most sustain an additional ten seconds. One sword Qi could at best destroy one or two pairs of eyes! Was there still a way out? More eyes appeared and formed an entire a.s.sembly in the shrouding rain! Finally, a few pairs of eyes moved. They were like arrows that had left their bowstrings, as they propelled at Yue Yingsha first! At that moment, Yi Yun finally managed to discern the foe clearly. Those eyes were actually shadowy black blobs. Each ent.i.ty had a fuzzy body and it only left a pair of eyes in its exterior. The eyes were filled with a faint blackness as they exuded an eerie green luminance. The black shadow moved very quickly, so quickly that Yue Yingsha had no way of dodging. The black shadow had already rushed in front of her! With her life on the line, Yue Yingsha yelled in fright. She nearly tumbled but at that moment, a rainbow radiance suddenly beamed from her chest! The rainbow radiance was like indestructible sharp swords. Wherever it pa.s.sed, the black shadows would emit the howls of feral wraiths. Many of the black shadows were pierced through by the rainbow radiance! Yue Yingsha slammed heavily to the ground as a portrait scroll fell from Yue Yingsha’s chest. The portrait was extremely ancient and it had an air of antiquity. The rainbow beams of light had been emitted by it! The portrait had left the countless of shadows afraid to approach. Not only so, even the shadow that had entered Granny Yin’s body was appalled. Yi Yun looked at the portrait in shock. The portrait tumbled on the gra.s.s pains, and despite the dense black rain, not a single drop stained the portrait. As the portrait scroll tumbled on the ground, it slowly opened and revealed itself. It depicted a woman in it. She was tall and she had a slender waist. She wore a black dress and in the middle of her eyebrows, there was a bright lotus imprint with nine petals. Although it was just a portrait, it was as though Yi Yun could feel the fluttering of the black dress. The lotus imprint also seemed to project itself into his soul sea. This mysterious woman was untainted by the mortal world, as though she was a heavenly woman who had descended into the mortal world. Yi Yun took a deep breath. 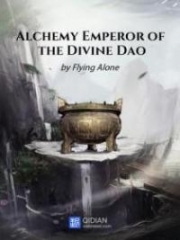 Back in the Primordial Empyrean Heaven, Yi Yun had seen two phantoms hidden in the Purple Crystal while gaining insight into the 10000 Demon Wheel of Existence. One was a man that wielded a spear, while the other was this woman. She held a nine-petal red lotus which left a deep impression on Yi Yun. Yi Yun once suspected that the spear-wielding man and the red lotus woman were the previous owners of the Purple Crystal. Was a previous owner of the Purple Crystal the person who created the Door to the 33 Skies and planted the divine tree that held up the Azure Wood Great World? Thoughts raced through Yi Yun’s mind, but at that moment, the rainbow radiance from the portrait was gradually dimming. It was as though the divine light from a while ago had burst out accidentally when the portrait opened. The moment the rainbow radiance dimmed, the black shadows hovering in the sky would stir once again! Yue Yingsha, who had collapsed to the ground, rolled on the ground so as to embrace the portrait. She knew that the portrait had unfathomable power sealed in it. It was the power of the Sacred Ancestor, and what had previously unfolded proved that the evil demons of the Door to the 33 Skies were afraid of this power. However, Yue Yingsha was deeply aware that she had no way to awaken the power in the scroll. She had attempted numerous times in the past and be it the divine tree or the portrait, she had not received any response from her attempts. Yue Yingsha held the portrait as she humbly knelt to the ground. She knew that the portrait was the final hope that could save the three of them! 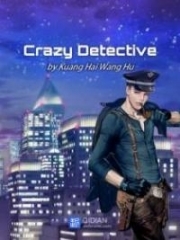 You're Read True Martial World Chapter 1025 online at NovelOnlineFull.com. You can use the follow function to bookmark your favorite novel ( Only for registered users ). If you find any errors ( can't read,broken links, can't load photos, etc.. ), Please let us know so we can fix it as soon as possible. And when you start a conversation or debate about a certain topic with other people, please do not offend them just because you don't like their opinions. You're reading True Martial World. This manga has been translated by Updating. Author(s): Cocooned Cow,蚕茧里的牛. Already has 7559 views. Current Time is 21-Apr-2019 02:51:25 AM.